Image: Pool/Samir Hussein/Getty Images. Design: Ashley Britton/SheKnows. 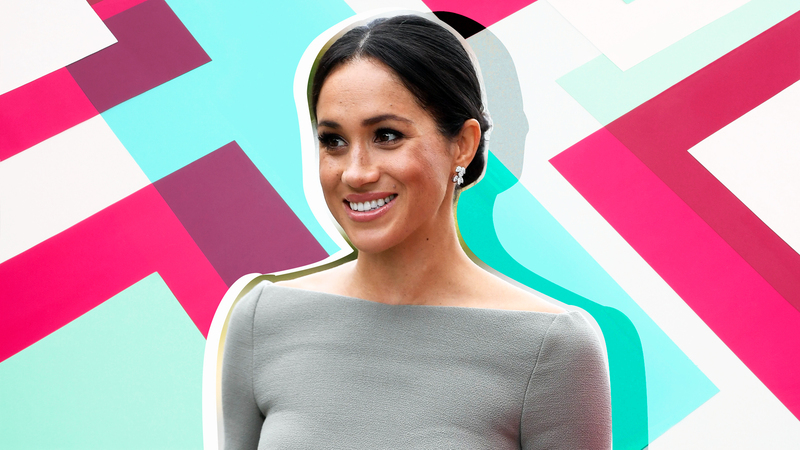 Meghan Markle is always making headlines. I mean, as a beautiful actor-turned-duchess with a killer wardrobe who’s married to one of the most beloved princes of all time, she basically writes the headlines herself. But since she announced her pregnancy in October, the headlines haven’t been too kind. Instead, they’ve revealed a huge issue with the way we’re addressing Meghan’s pregnancy. The Duchess of Sussex is only 37 years old, an increasingly common age to have a child. In fact, according to the Office of National Statistics, over half of all babies born in the U.K. are born to mothers over 30. And in the U.S., the number of first births to women 35 and older grew by 23 percent between 2000 and 2014. Research ties this shift to more women entering the workforce and prioritizing their careers, more women pursuing higher education and more financial security generally. It’s the label they use in headlines, social media posts and snarky copy calling out the duchess’s age. Sure, “geriatric pregnancy” was once a medical term to describe pregnancy in women over 35. But it’s now been largely abandoned by the medical community due to its outdated (and messed-up) connotations. You know, kind of like we’ve retired the once-common labels of “old maid” or “spinster” (I hope) as women are getting married later and later. Yes, having a child over 35 does carry certain risks. However, many women in this age group have perfectly healthy pregnancies and babies. Other factors — like access to prenatal care or racial biases — can have just as much or more impact on healthy pregnancies. You would think we’ve progressed to the point when we don’t declare a woman elderly once she’s past 30, recognizing that she has worth beyond the “youth” we’ve been conditioned to see as beauty — what was long considered a woman’s end-all, be-all. But you’d also think we’ve progressed to the point when women could go to work without being harassed, and we haven’t, so… I guess I’ll check in with you all in 10 to 20 years.